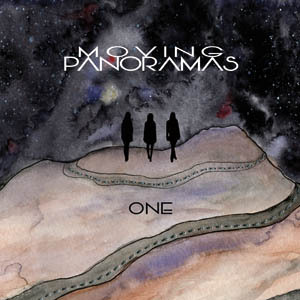 Moving Panoramas create big, atmospheric music that paints the walls and fills up the corners of a room until you’re completely surrounded by dream gaze. Led by singer/guitarist Leslie Sisson, this band comprised of bassist Rozie Castoe and drummer Karen Skloss shift and pop with such synchronicity it’s easy to get wrapped up in their lush wall of sound. 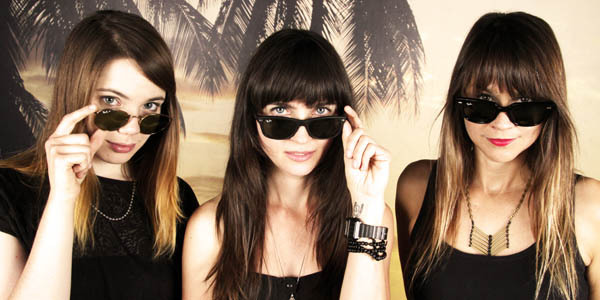 Their debut record One is an incredibly advanced start to what promises to be a powerful trio of female musical power. The title track is a harmonious, catchy, driving number that instantly charms. There is an ethereal (almost spacey) quality to their style of rock, but it’s layered in lush sound and purposefully powered rhythm. “Loud yet still light” is such an appropriate way to describe this record and this song as a representation of what Moving Panoramas is about. “Radar” and “Tonight” continue this trend of melodic and hypnotic sound that propels Sisson’s vocals to new heights. In fact, it’s Sisson’s vocals that make a masterful impression as the tracks get even further in. “Always” and album closer “Harmony” clock in the longest on record past the 6:00-minute mark and yet there is such a wonderful crescendo to the arrangement I found I didn’t want either one to end. These are meticulously performed songs that show off all three women’s abilities to craft with creativity and nuance. I love that every song is propelled by a single word title, it feels very pure and uncomplicated as a direct reflection of the focus of the songwriting. “Magic” is another favorite, a simple and dynamic vocal backed by a great groove and guitar grind. With One, Moving Panoramas shoot off a signal flare marking their arrival on the scene. This is an exciting, lush and wonderfully executed record from start to finish; this trio of very talented women create music balanced with atmosphere and melody in a powerful but controlled way. Absolutely one of my favorite records of the fall and one that will be spinning long into the winter. Love these girls. Great live performances also.